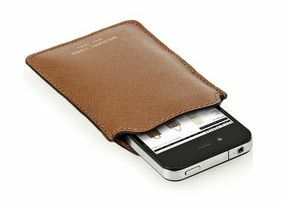 An iPhone case for dad - awesome Father's Day gift if it's anything like this one. One cracked screen later, I'm thinking an iPhone case for Father's Day might have just entered the serious consideration set. I'm loving this one which is stylish, sophisticated, and definitely not frou-frou.